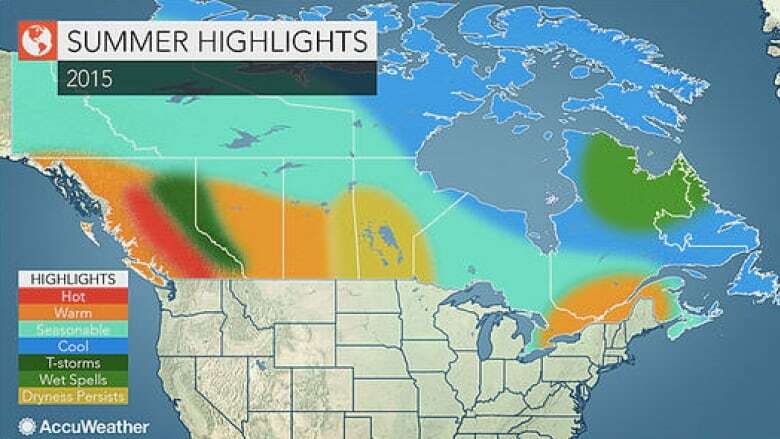 If you're wondering why British Columbia experienced such a mild winter and early spring, you could maybe blame it on a mysterious "blob" of warm water in the Pacific Ocean. The anomaly was first detected in 2013 by University of Washington climate scientist Nicholas Bond, who coined the term "blob." Since the fall of that year, scientists have been tracking a large mass of water in the Pacific Ocean that is 1,000 kilometres long and at least 2 degrees Celsius warmer than usual. Ocean Networks Canada, which has been studying the phenomenon, says the blob may have formed because a weak low pressure system over the ocean is limiting the mixing of warm waters and cool, nutrient-rich water. Heat is being trapped as a result. University of Victoria chemical oceanographer Jay Cullen says the blob now stretches from Mexico to Alaska, likely contributing to some of the milder temperatures experienced in British Columbia in recent months. "Talking with surfers [in Tofino], for example, [about] winter conditions and surfing off our coast, many of them weren't wearing gloves this winter, which is really unheard of," Cullen told Daybreak North. "Fishermen are noticing the waters are both clearer and warmer, and the timing of when fish are present and when fish are catchable happened earlier this year than it has in the past." Cullen says scientists aren't sure how long the blob will persist, but if it does, British Columbians may start seeing more warm water species move north. In fact, Cullen says he's already heard anecdotes from people who have spotted the fish Mola mola. By-the-wind-sailors, a blue jellyfish-like creature, have also been found ashore on Haida Gwaii. The fact that nutrient-rich waters aren't being brought to the surface could have consequences for the marine food web, Cullen said.